Home Entrance Exams UPSEE UPSEE 2019 Answer Key – Estimate Your Scores From Here! 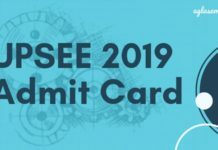 UPSEE 2019 Answer Key – Estimate Your Scores From Here! 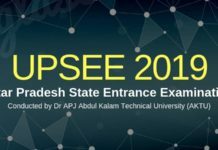 UPSEE 2019 Answer Key – Dr. APJ Abdul Kalam Technical University shall release the UPSEE 2019 Answer key over upsee.nic.in. 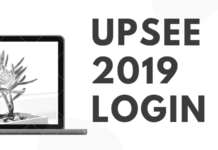 Candidates will need registration number and password to download the UPSEE 2019 answer key. Usually, the answer keys are released by the first week of May 2019. AKTU releases the answer keys for separate courses, B. Tech, B.Arch, B.Des, B.Pharm, BHMCT, BFAD, BFA, MBA, MBA(Integrated), MCA, MCA (Integrated) and second-year B.Tech, B.Pharm, MCA (Lateral Entry), separately. 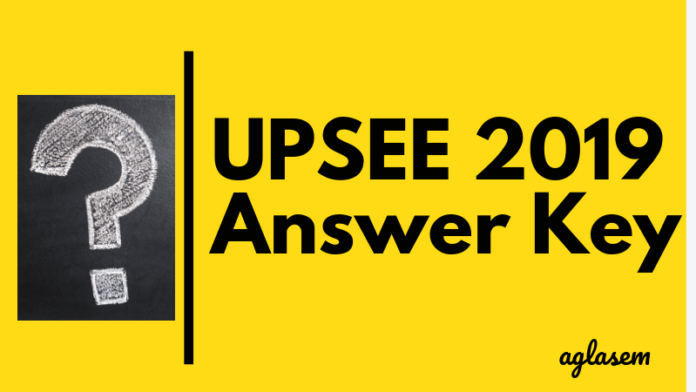 To know more about UPSEE 2019 answer key, keep reading! AKTU will release the official UPSEE 2019 answer keys for all the AA, AB, AC, AD, BA, BB, BC, BD, CA, CB, CC, CD, DA, DB, DC, DD and for all the 11 papers, it is conducted for. Candidates can keep a track of all the UPSEE 2019 answer key related events from below. Following are the steps are given to check the answer key. Enter login details like form number and registration and password (generated at the time of registration). Click on the answer key link to open. UPSEE will be conducted for candidates, there will be a total of 11 papers under the examination. Candidates are to select the paper and subject as per their choice. The detailed paper name is provided below for candidate to check. Furthermore, details regarding examination pattern are listed below. The answer key once downloaded by the candidates can be used to calculate the marks they will score in the examination. This can also help them get their rank for the examination. 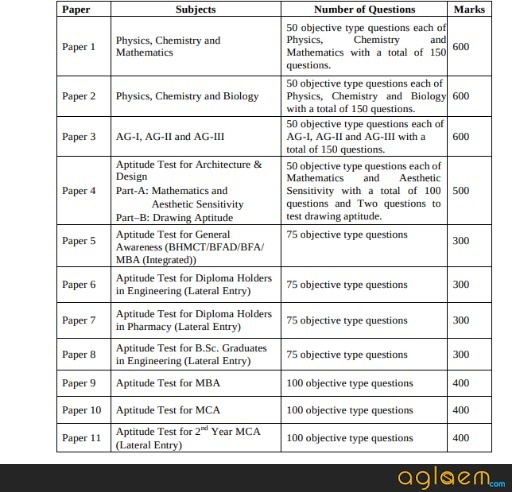 The marking scheme of the examination according to the university is as follows. The question paper will be provided with an OMR sheet for the candidates to choose one answer from the given options. Each correct answer carries +4 marks. While there will be no negative marking for incorrect answers. Hence all the correct answer marked by the candidates will be added together to get the desired result. Candidates can avail the facility of challenging the UPSEE 2019 Answer key if they found any objections related to the released answer key. AKTU shall only accept the objections in online mode in a prescribes format, that has been mentioned below. Write an email to [email protected], mentioning Name of candidate, Roll number, Application number, Paper number, Paper code, Grievance question number and Suggested answer with supporting documents/explanations. AKTU will take into consideration, all the objections received and then accordingly, release the final UPSEE 2019 answer key which cannot be further challenged. Releasing UPSEE 2019 Answer key will give all the applicants who had appeared for UPSEE to estimate their chances of qualifying for the exam. As the period between a candidate has appeared for the exam and the result declaration date is full of anxiousness, the release of answer key surely does help! Also, a candidate who is willing to appear for UPSEE, next year can make fruitful use of these UPSEE answer keys to practice and to get an idea of what type of questions, may be asked in the exam. UPSEE 2019 Result is said to be declared by AKTU over upsee.nic.in. Candidates are required to enter their roll number and date of birth. On the basis of the marking scheme released, a candidate’s UPSEE 2019 Result shall be declared. Firstly, UPSEE individual scorecard will be released and then the merit list. UPSEE 2019 Result will have the following particulars – Merit-Position/ Rank, Score-card with Total Marks and Marks obtained in the Individual subject. Further on this basis, a candidate shall be called to appear for UPSEE 2019 counseling.